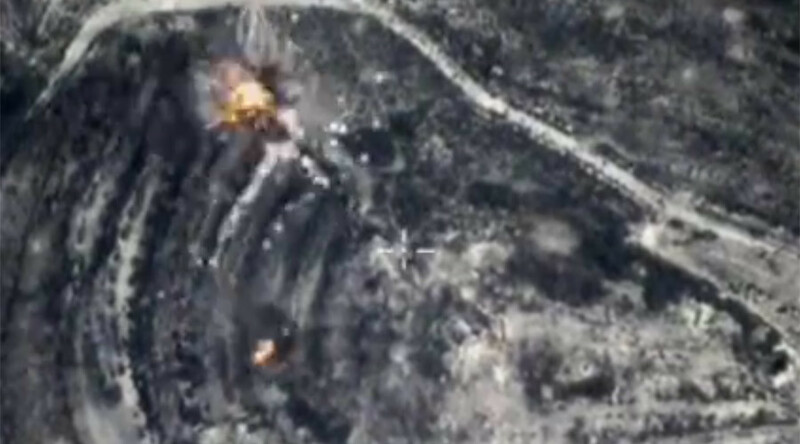 The Russian Air Force has conducted some 1,400 sorties in Syria since the start of Moscow's anti-terror operation. They have eliminated more than 1,600 terrorist targets in one month, Russia's military said. Among the destroyed targets are 249 command posts, 51 militants' training camps, 131 ammunition and fuel depots and 786 field bases, Colonel General Andrey Kartapolov of Russia's General Staff said on Friday. Twenty-eight of the "most odious" terrorist leaders have been eliminated, the military report said. With the help of Russian airstrikes, the Syrian army managed to free over 50 towns and villages in such provinces as Aleppo, Latakia, Idlib, Homs and Damascus, the General Staff official said, adding that the freed territories make up to around 350 square kilometers (350,000 hectares). Despite Islamic State's "considerable losses and mass walkout," it's too early to talk about "complete victory" over the terrorists in Syria, Kartapolov stressed, adding the militants are continuing their stand against Syrian government troops in a number of regions. But "all their [terrorists'] efforts of counter attacks have been timely suppressed by the Syrian Army," the Russian military official said. In some regions, it is more difficult to defeat the jihadists. Over the years they have turned the areas into powerful organized tactical localities, with a wide network of underground passages and hideouts, Kartapolov said. Commanders from several militant groups that were part of Al-Nusra Front, have decided to join the ranks of the so-called "moderate opposition," the General Staff said, adding that in this way they hope "to receive political and financial support from abroad." Trying to stop the decreasing number of fighters, Islamic State is redeploying forces into Syria from Iraq and other neighboring countries, Kartapolov said, adding that this move is now being widely observed in the Aleppo province. To prevent their fighters from deserting, Islamic State also publicly executes the militants who try to flee, the Russian military said. Kartapolov said that Russia's Defense Ministry was ready to cooperate with all Syrian forces fighting Islamic State and Al-Nusra Front, including opposition forces such as the Free Syrian Army. "We are ready to interact with patriotic opposition in any format, also within a joint information center in Baghdad," Kartapolov said, adding "all patriotic forces in Syria should act as a united front" in the face of the international terror threat. "Unfortunately, this [unity] hasn't happened yet," he said. Over the month of Moscow's struggle against Islamic State, its efforts have been a target in themselves, with western mainstream media as well as a number of officials attacking Moscow, bombing it with allegations and unconfirmed reports. 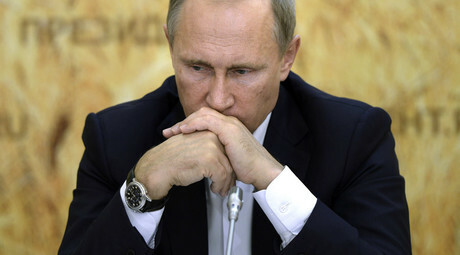 "Despite the fact that the General Staff immediately and mostly fully informs the public on the actions of the Russian Air Force in Syria, new forgeries appear in the western media almost daily," Kartapolov said, adding that based on the reports it looks like Russian airstrikes have allegedly destroyed more civilian structures than terrorist-inhabited areas. Such reports lack any proof, the military official added. He showed the media a picture of the mosque in Idlib province that was allegedly bombed by Russian aviation, according to some media reports. The photographs taken after the reports had been published, show that the mosque appeared intact. Russia goes to war with ISIS: Why and how? 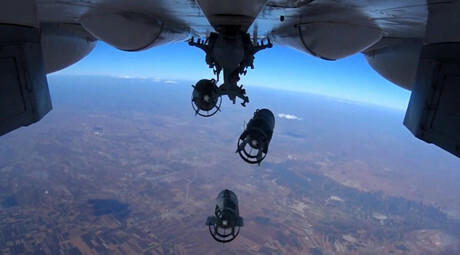 The Russian Air Force began carrying out airstrikes against Islamic State (IS, formerly ISIS/ISIL) targets in Syria on September 30, "in accordance with the decision of the Supreme Commander of the Russian Armed Forces, Vladimir Putin." 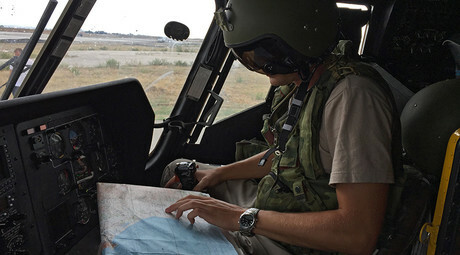 The Ministry of Defense has been providing regular combat reports on the mission, the deadline of which is classified. Due to the increased amount of confirmed intelligence information on IS facilities, the number of Russian fighter jets sorties has considerably risen since the launch of the mission, with more jihadists' targets hit and destroyed. A week into the anti-terror mission, Russian Navy joined Russia's Air Force in the operation, with four Russian warships having launched missiles against Islamic State in Syria. The attacks came from Russia's fleet in the Caspian Sea, which borders Russia, Iran and three other littoral countries; the precision weapons hit all intended targets. With warplanes of the Russian Air Space Forces having destroyed units of military equipment, communication centers, arms and fuel depots belonging to IS terrorists, as well as plants producing explosives, field camps and bases, militants have lost "most" of their ammunition, heavy vehicles and equipment, the Defense Ministry said. Growing numbers of jihadists appeared to have become discontent with their command and reportedly deserted IS ranks. During the ongoing operation in Syria, with the Russian military providing air support to Syrian Army troops, Syrian President Bashar Assad visited Moscow and held talks with Vladimir Putin. Before Moscow launched its operation in the Middle Eastern country, Syrian government had asked for Russia's help, which became the legal ground for sending troops to Syria.